Guess what I have in store for you today! 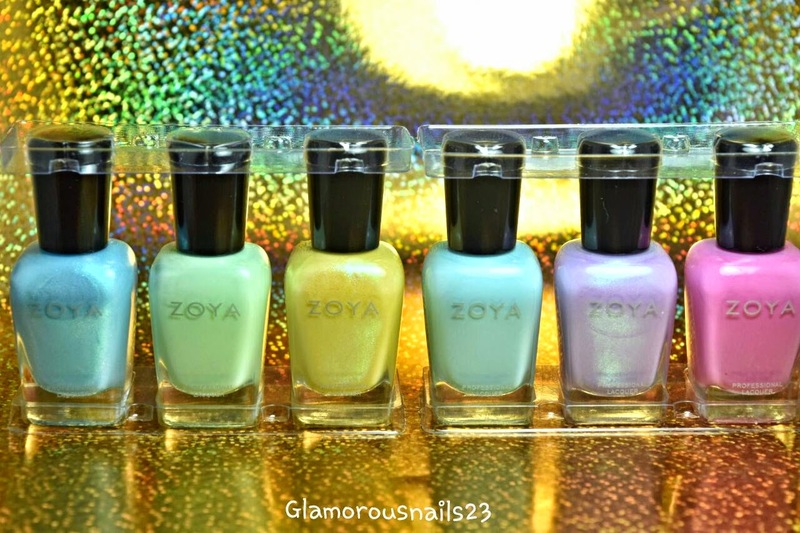 Swatches and Reviews of the Zoya Delight Collection 2015. I've seen pictures of these around and couldn't wait to get my hands on them! 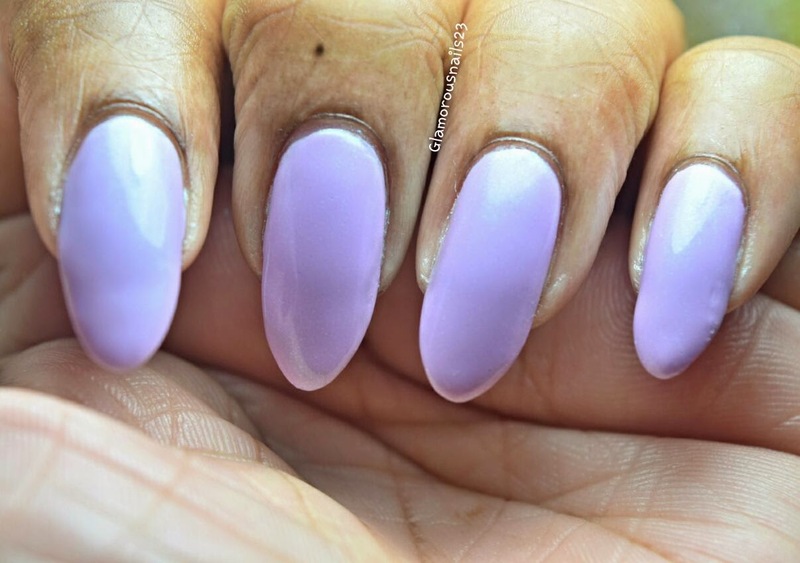 I recently ordered them from Nail Polish Canada and I have been (im)patiently waiting for them to arrive! This collection just screams spring! The colors are so fresh and bright it actually makes me excited for spring although we're not quite there as yet. Well here in Toronto anyway, but it does seem like the weather is slowly starting to pick up! 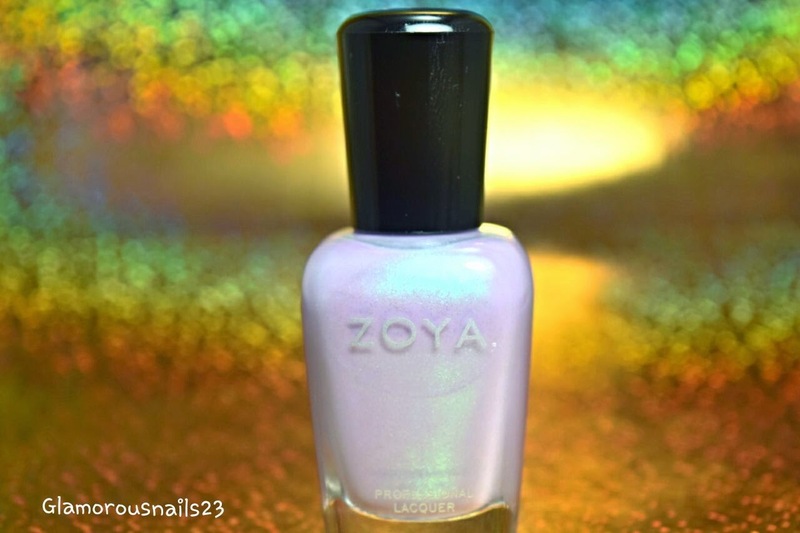 The packaging that the Zoya Delight Collection came in was very cute! Below are some pictures of what it came in. 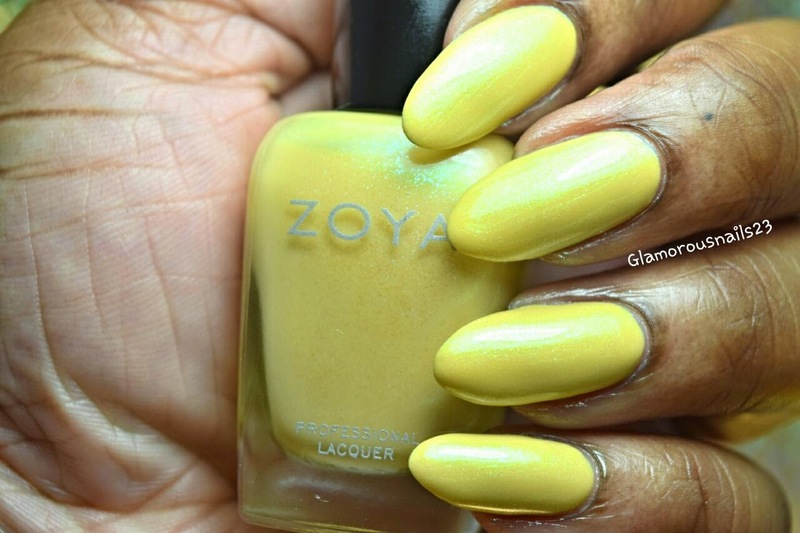 Here is what the polishes looked like once they were taken out of the packaging. They are stored in sets of three with plastic holders at the top and at the bottom. 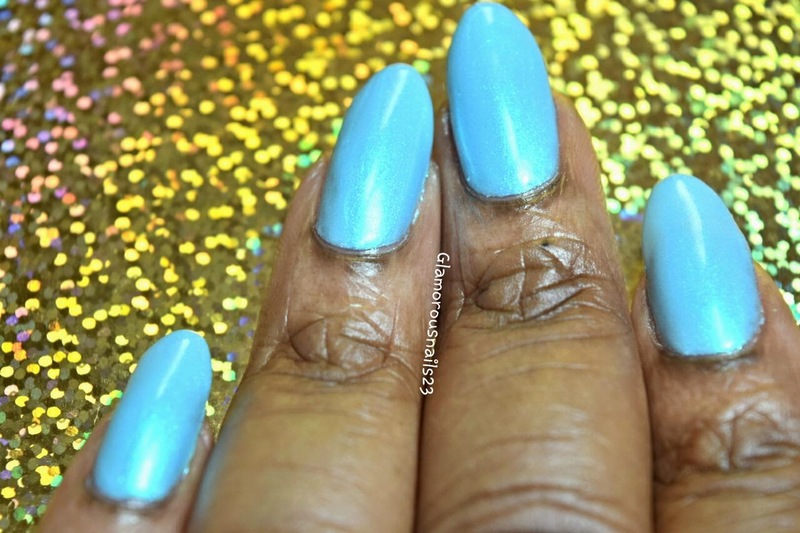 Rayne is a soft blue that has blue green shimmer and has a smooth formula. For some reason it reminds me of Cinderella. 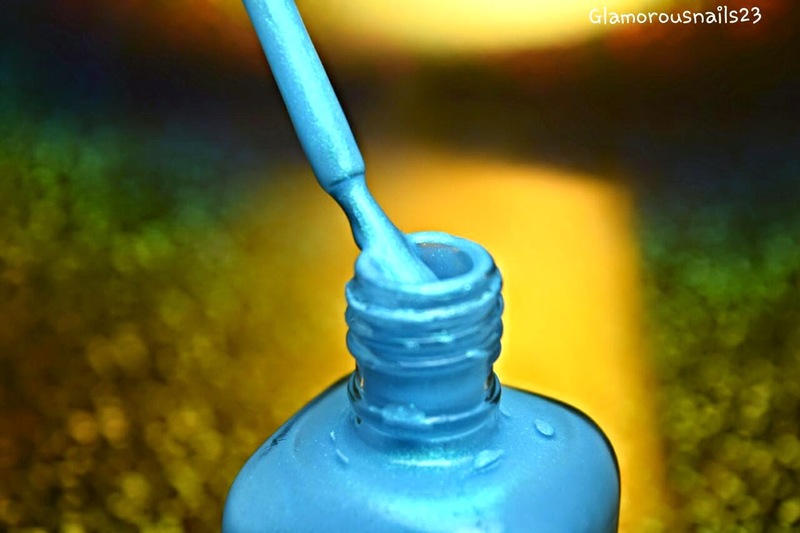 You can see the shimmer in the bottle. LOOK AT IT!! You can't tell that's not pretty! 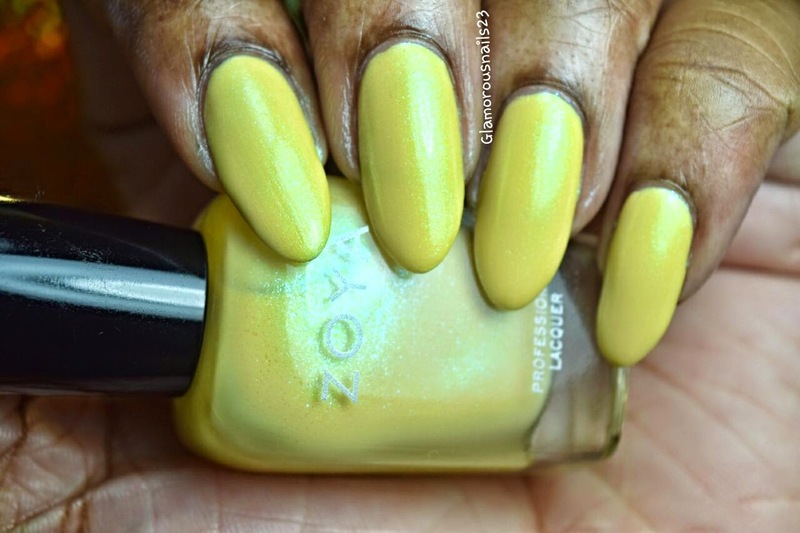 Before I even applied this color I knew that I really liked it. The first application went on quite sheer but by the second application I was getting good coverage and by the third coat I had full opacity. I'm not too sure how I fell about the color against MY skin, but I do love the color! 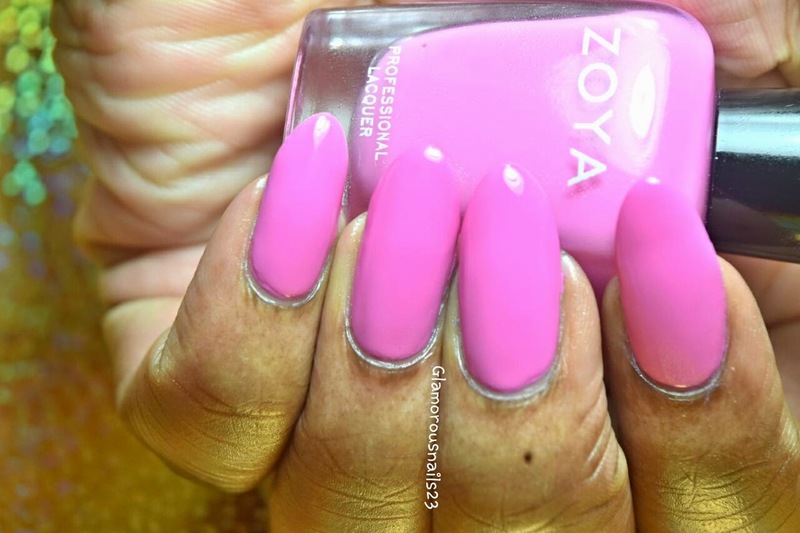 In the photos below I used three thin coats with a top coat. 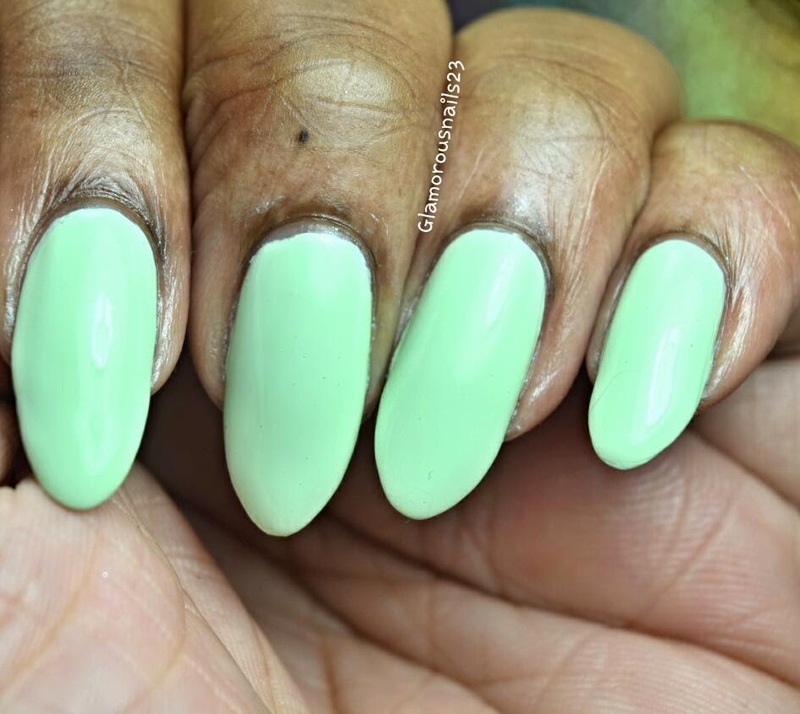 Tiana is a pastel mint green creme polish.The first coat applied a bit streaky but this polish builds well. By the second coat it was almost fully opaque but I could tell that there were some uneven spots peaking through. By the third coat I was able to receive full opacity. 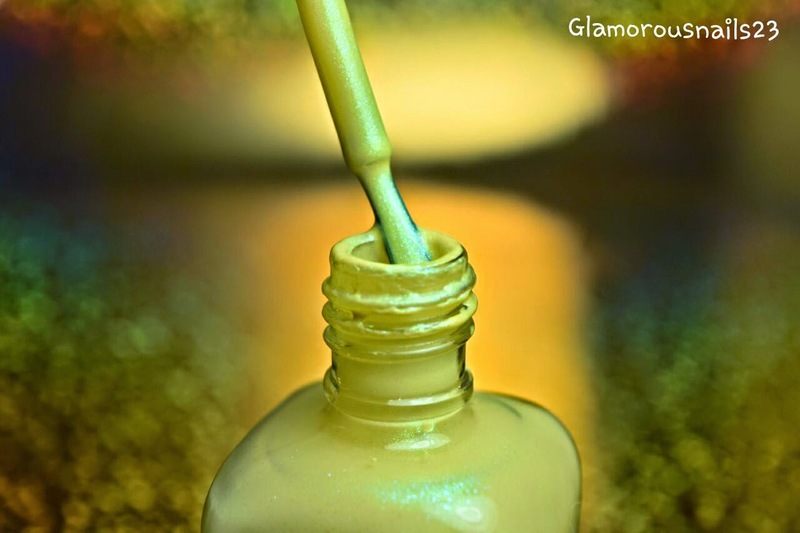 Tiana is very shiny and you could get away with not wearing a top coat. Yes she's THAT shiny! I actually like this color a lot more on than I do in the bottle. 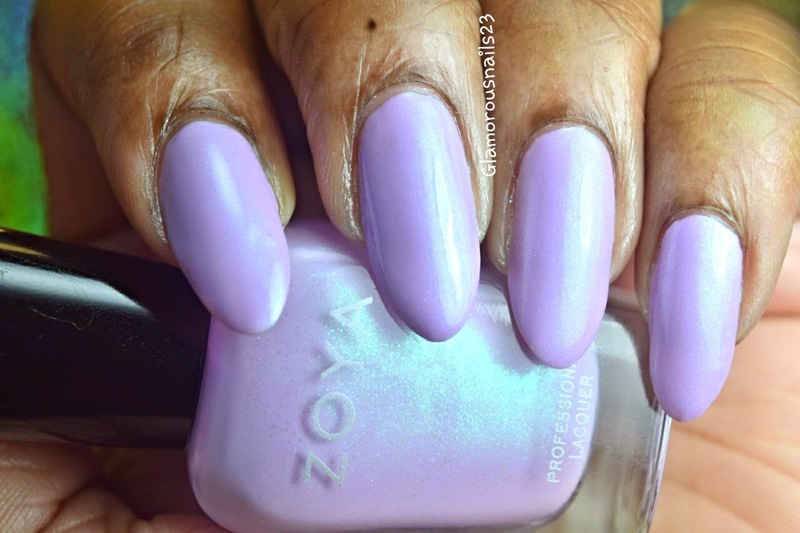 She's the perfect color for spring or even Easter. 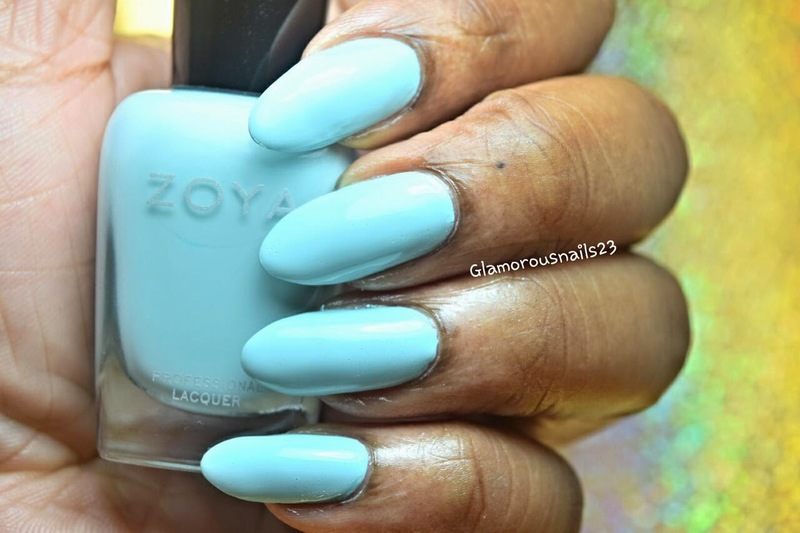 This color gets me all excited for spring!! 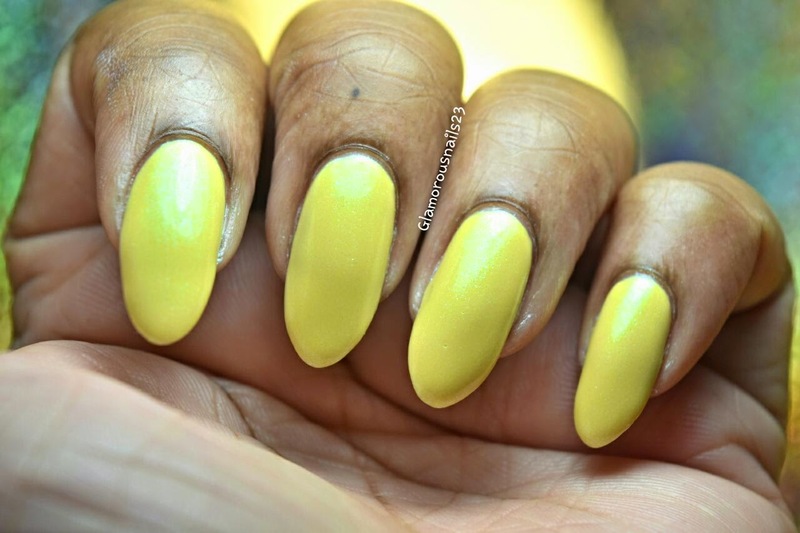 Daisy is a pastel yellow creme polish with that lovely blue green shimmer in it. She was just a little bit streaky with the first coat but does build very nicely. The formula is nice and smooth, creamy even. I was able to get full opacity in three coats. 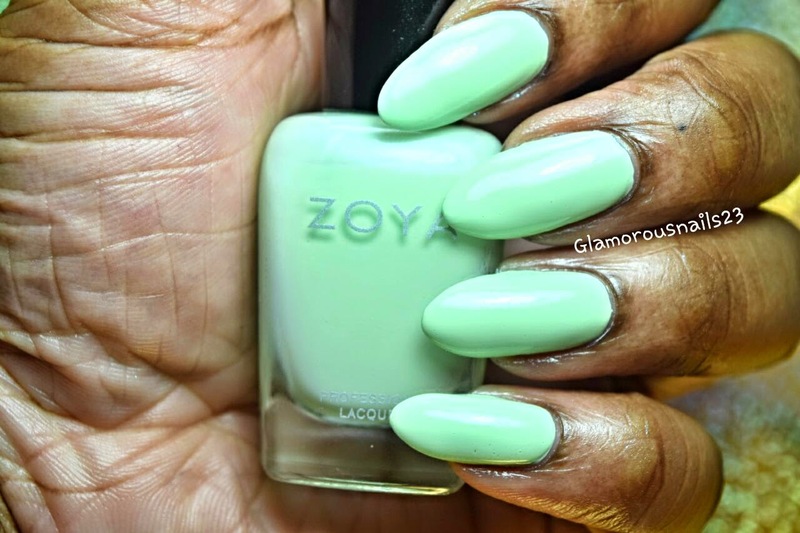 I love this color for spring. 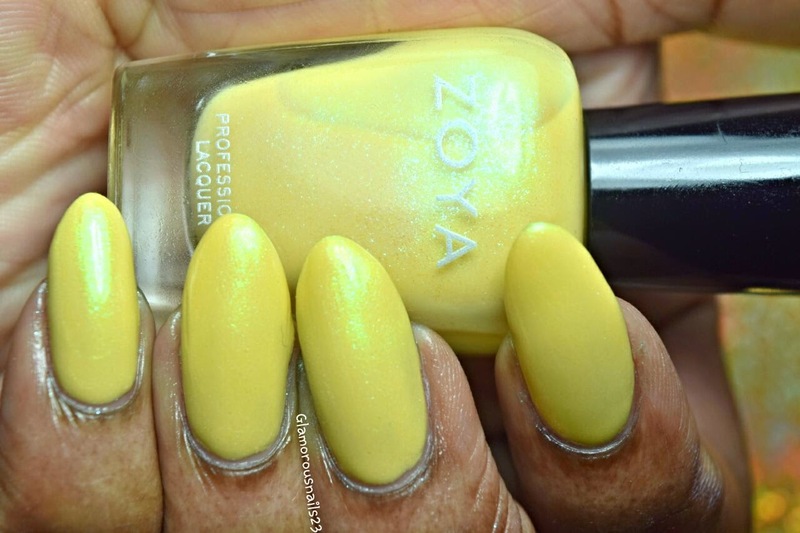 I don't usually like yellows and try to stay away from them, but I can definitely see myself reusing this one. Daisy reminds me of the flower just with some shimmer. In the pictures below I used three thin coats with a top coat. 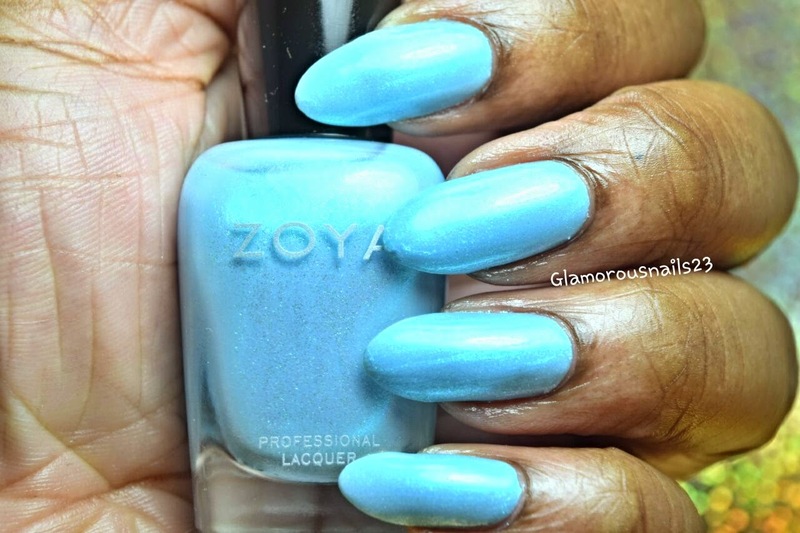 Let me just start off by saying that I really like this color! 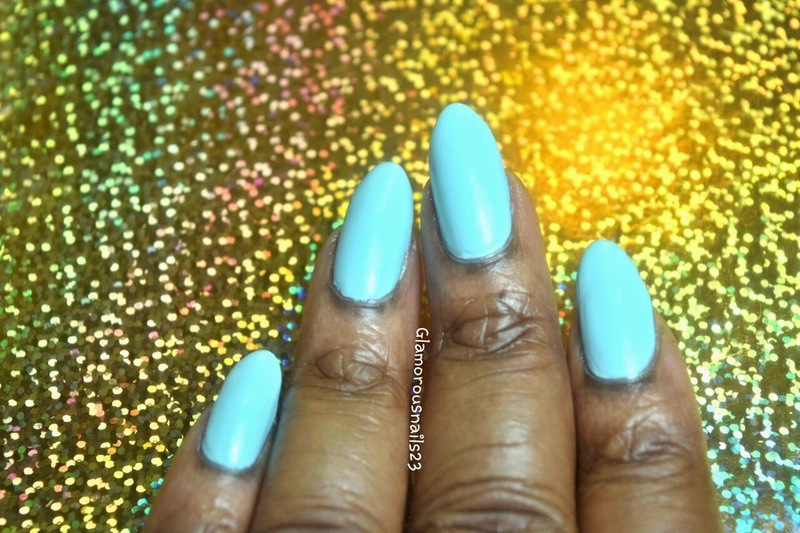 Lillian is a pastel blue that has a smooth formula. 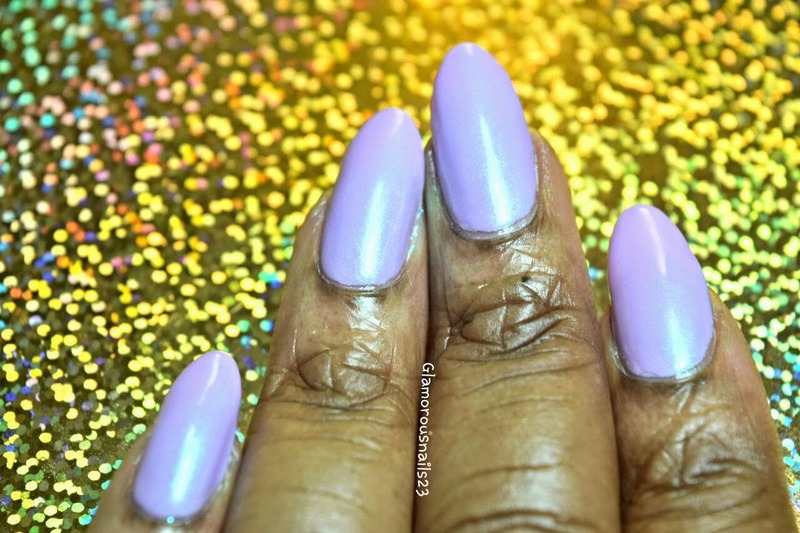 Even though the first application was a bit streaky I was able to get full opacity with two coats! 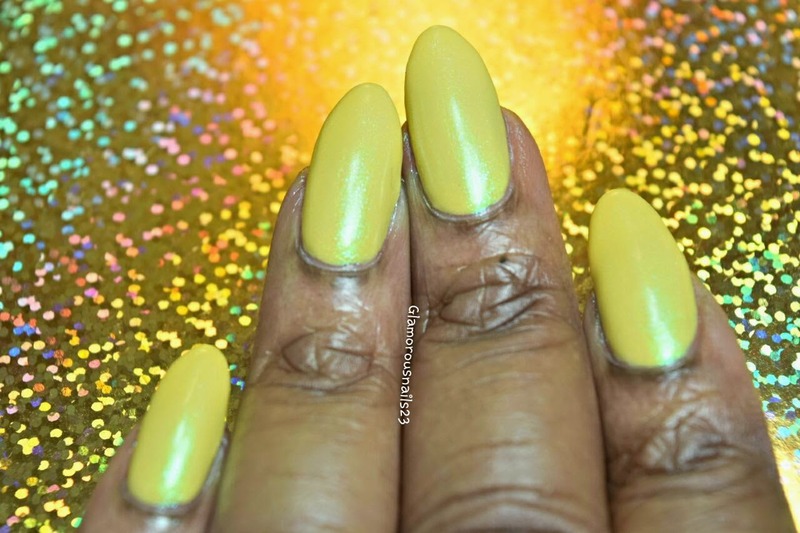 Lillian is another polish from this collection which you could easily get away with wearing with out a top coat because of er amazing shine!! I can't stop staring at my nails!! 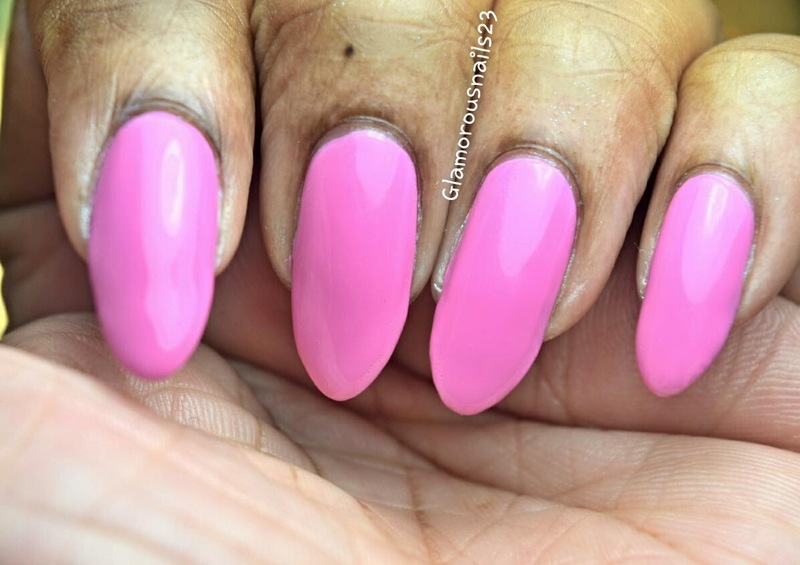 In the photos below I used two thin coats with a top coat. 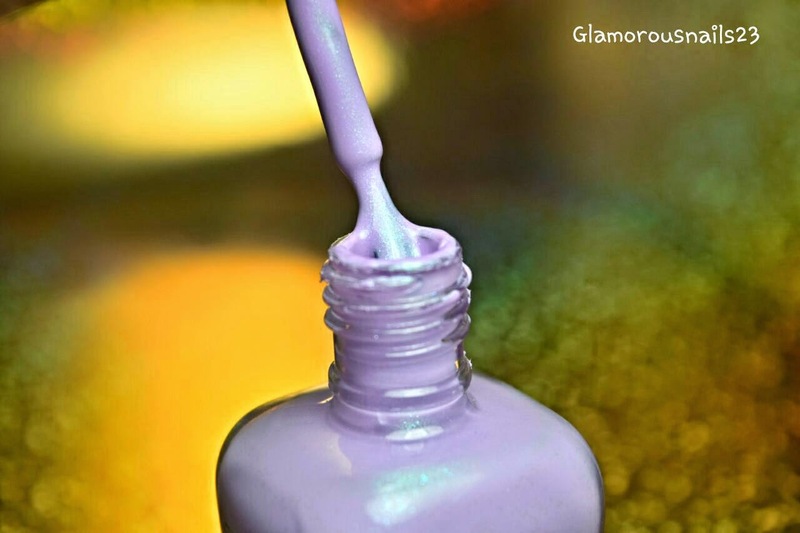 Leslie is a pastel lilac and the last of the three polishes from this collection that contains a blue green shimmer. She has very creamy and smooth formula. When I saw this color in the package I knew that I was going to like it (and no it doesn't have anything to do with fact that it's purple!). Now that I've tried it on I REALLY like it. 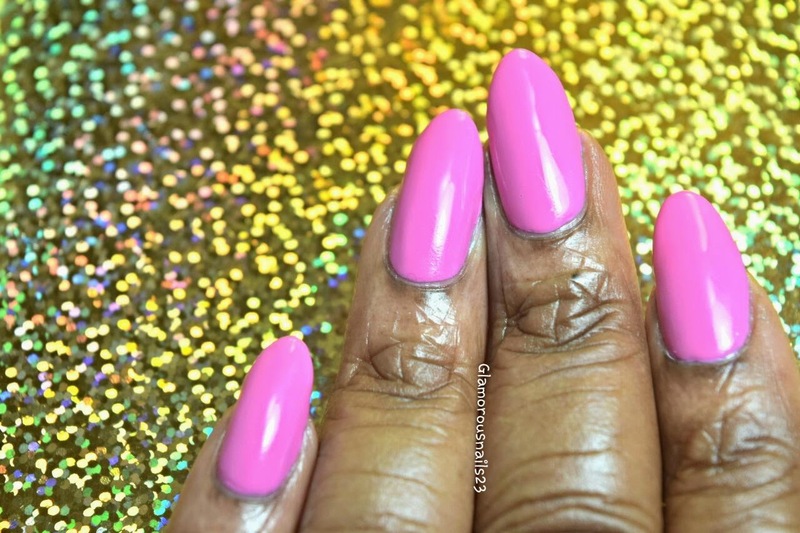 Leslie wasn't streaky with the first coat and was almost FULLY opaque in one coat! 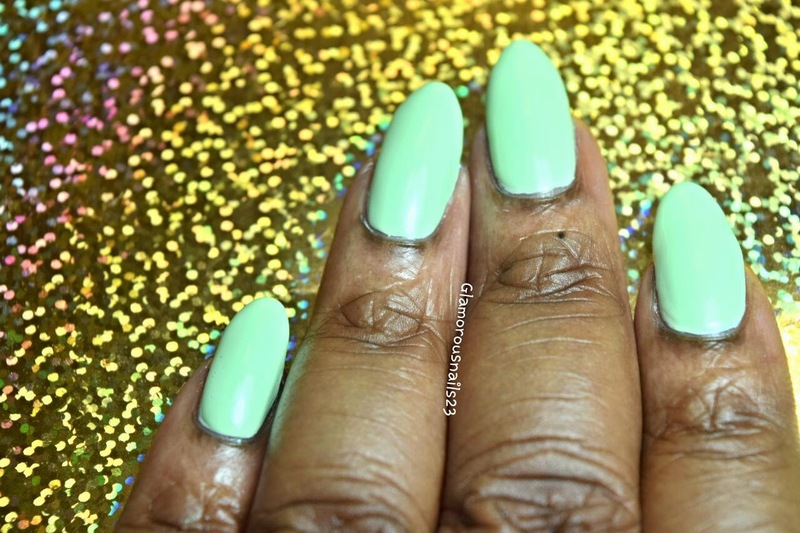 I was able to get full opacity in two coats!! 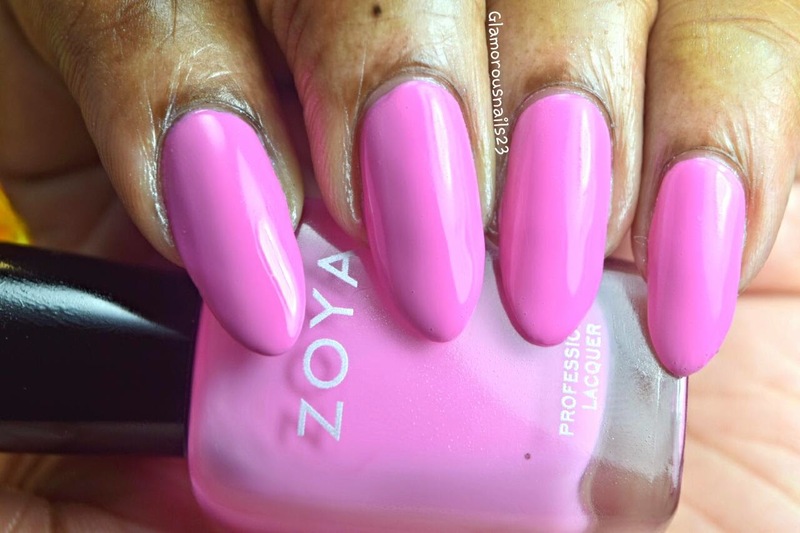 Eden is the last one from the collection and is a bubble gum pink. I'm not talking about any bubble gum either, I'm talking about that Hubba Bubba gum pink. PLEASSSEEE tell me someone remembers that gum haha. 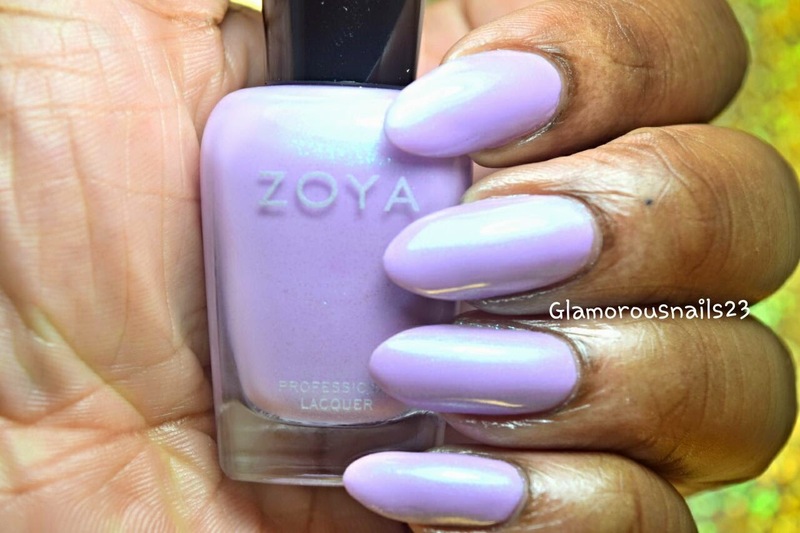 She has a smooth creamy formula and was opaque with just two coats! I love this color. I mean look at her isn't she beautiful?? 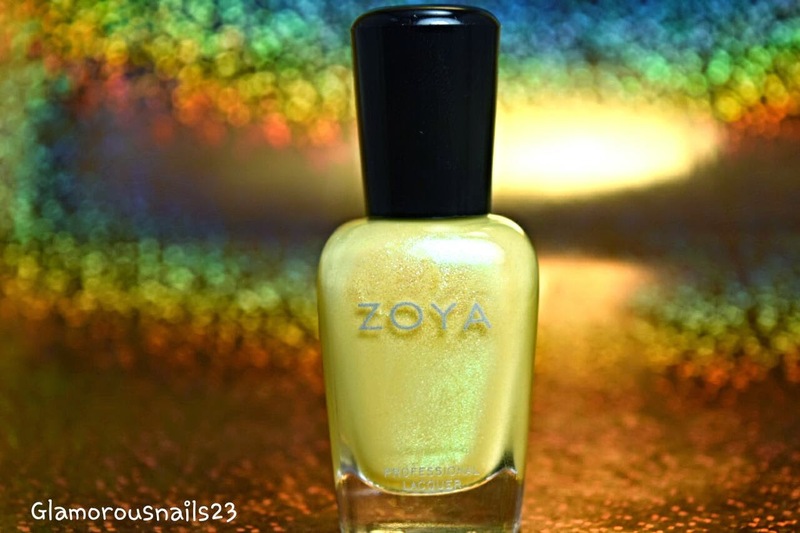 Eden is another one of the polishes from this collection that's super shiny! 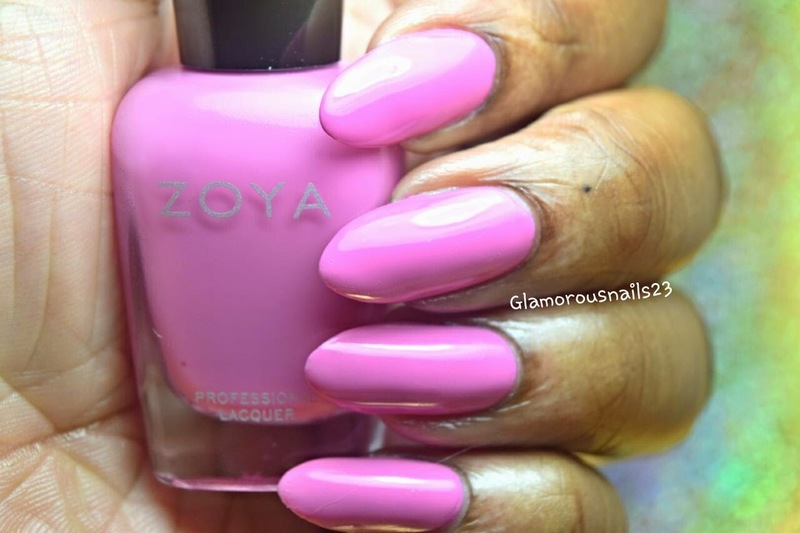 You could get away without a top coat with this one! For the pictures below I used two thin coats with a top coat. All in all I'm pleased with this collection. I can definitely say that there are colors in here that I currently don't have in my collection. What are your favorites? Mine are Rayne, Lillian, Leslie, and Eden.. Are there any that you don't like? Do any of you have the collection? What are your thoughts?